LobangHub.com – Page 1456 – All about Discount Coupons, Vouchers and Promotions in Malaysia and Singapore. FESTIVE TREATS! 20% off for all dresses, now till while stocks last. Mr Wish Malaysia is offering Buy 1 Free 1 promotion deal in conjunction of new outlet at Ipoh Parade Mall. Burger King is offering Free 1 Ala-carte burger either Whopper JR Burger or Spicy Chick ‘N Crisp Burger with every purchase of 1 cup Nescafe Ice drink. Use the coupon code to enjoy RM20 off when you shop with Zalora Malaysia. Minimum spend RM100. John Little is having Get Smart Sale. 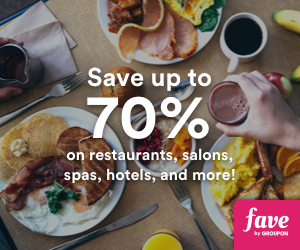 Enjoy 70% OFF items ranging from Men’s and Ladies fashion, Kidswear, Health and Wellness, Travel, Houseware, Bedlinen and more. Coldwear is having 14th Anniversary Sale with discount 20% off storewide from 1 May 2013 onwards. Enjoy any one of your favorite wholesome Wraps and a tall-sized Starbucks freshly brewed coffee or Tea at only $11.90.